In Mangaluru and other areas of Dakshina Kannada, there are many trees of Averrhoa bilimbi the fruit of which is called Bimbul in my mother tongue Konkani. Please see picture of the Bimbul fruit shown along with the recipe. We make pickle and chutney out of this fruit. 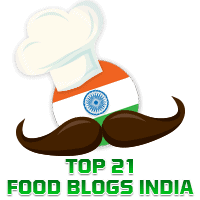 It is also used in place of tamarind to make some dishes as it has a sweet-sour tangy taste. 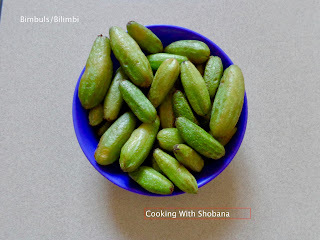 Elsewhere in this blog, you will find the recipe for Bimbula Nonche which is a pickle made out of this. 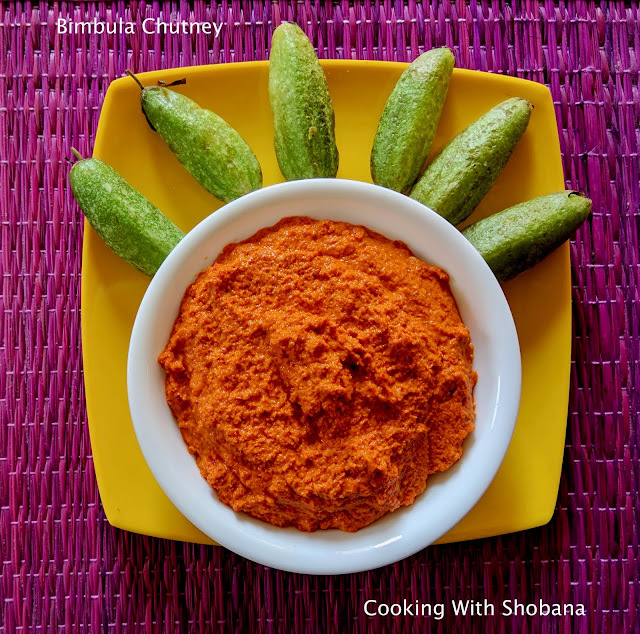 Today's recipe is for a chutney which goes well with rotis, dosa, idlis etc. The fiery red colour comes from the use of the Byadgi Red Chilli but I must assure you that the chutney is not as hot as you might think it is. If you wish to increase the spice level, you can add more number of roasted red chillies. In a mixer, grind together the fresh coconut gratings, roasted red chillies, bimbul pieces, salt and the de-skinned garlic cloves adding just the required amount of water to a smooth paste. Do keep in mind that the bimbuls also leave some water when we grind them. Serve as accompaniment for dosa, idli, chappati etc.